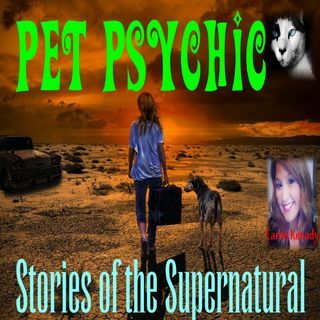 Marlene interviews pet psychic, Carrie Kenady. She explains how she is able to communicate with humans and animals who have passed on to the other side, and how messages of love she relays from the spirit world lift even the heaviest of hearts. After being attacked by an abused and neglected dog when she was six years old, Carrie Kenady has been compassionate about animal welfare, animal rights, and humane education. Her intuitive abilities enable her to communicate with animals who are here in the physical realm and those who have crossed over. Carrie can relay messages about your animal's well-being, personality, physical health, temperament, his/her role in your life, likes and dislikes, behavioral issues, and much more. In addition, Carrie is a psychic medium and intuitive empath, which means that she can read your present energy and pass along any important messages from your spirit guides and angels. As a certified Reiki master, Carrie also offers healing sessions on both people and animals. Carrie lives in Lexington, Kentucky, with her husband, daughter, and two fur children, Karma and Charlie.